Our Haas Vertical VF-8 Mill has a 30HP Cat 50 spindle capable of high speed milling, drilling, tapping, counter boring and counter sinking. 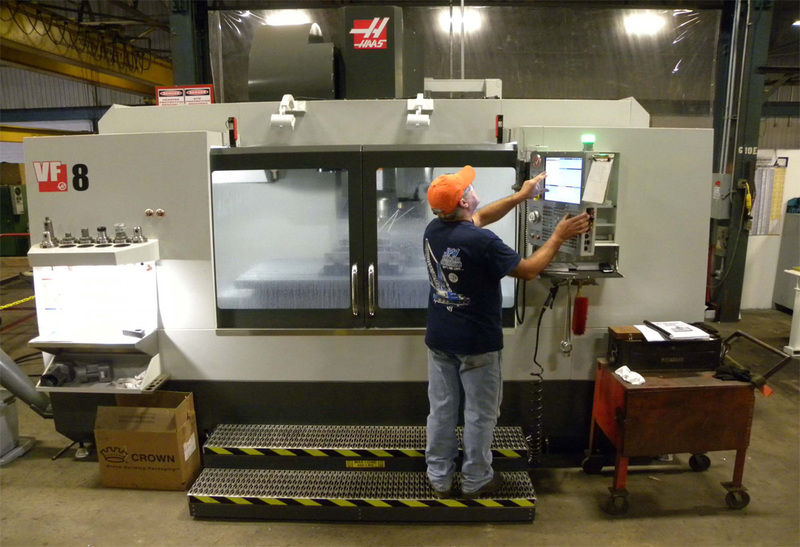 The Haas VF-8 has a machining tolerance of one ten thousands of an inch (0.01”) and integrated with a large 40” x 60” table with a Z axis that has 30” of travel. 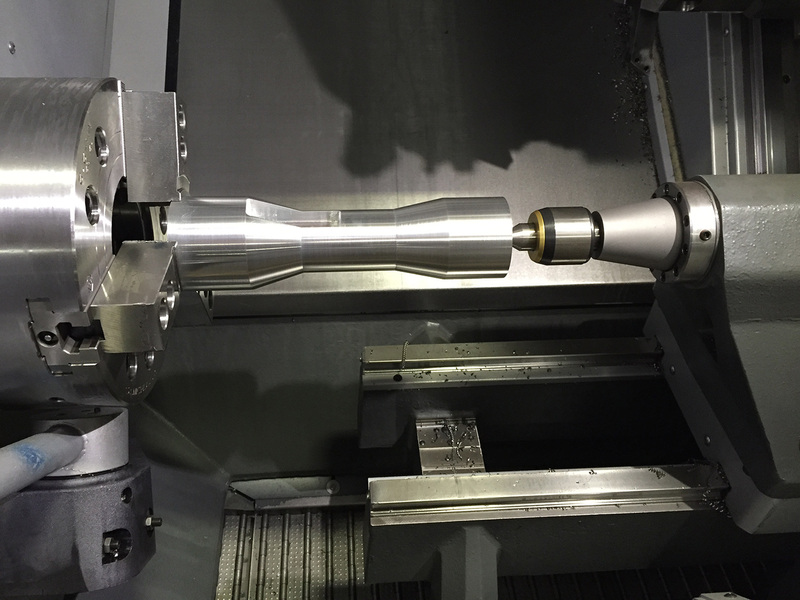 JPW also utilizes an ST35Y HAAS high speed turning center which has the latest in live tooling for axial face and side milling requirements. 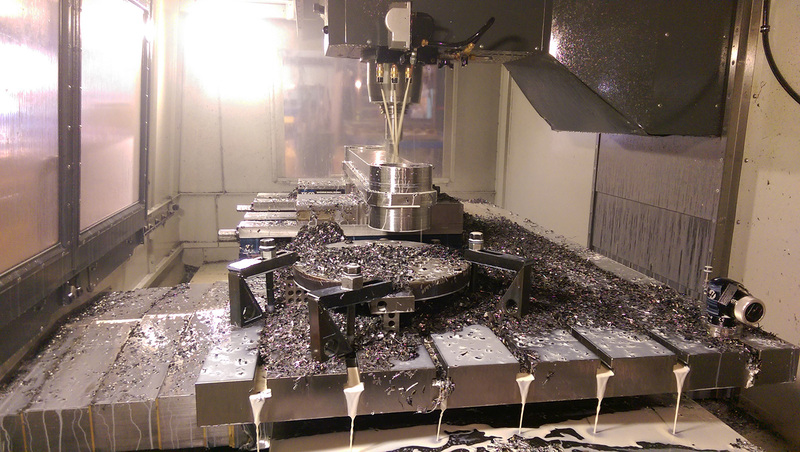 This big bore unit, with its high pressure thru-spindle coolant system, is fully prepared to take on all of your turning, tapping, threading, grooving, drilling, and face milling needs.